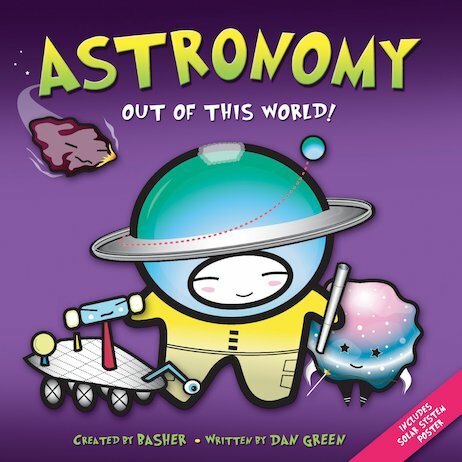 Buy Astronomy: Out of This World! Use Rewards for Astronomy: Out of This World! Mars, the rusty old war-horse. Dazzling beauty Venus, brightening up the night sky. And the Sun – the total star at the centre of everything! Space is an enormous place, home to a cool crowd of cosmic characters. And in this unique guide to astronomy, each planet and star has its very own quirky personality! Packed with edgy manga images from urban artist Simon Basher, this book lets you meet the out-of-this-world guys who make the universe tick. It’s where space gets streetwise!